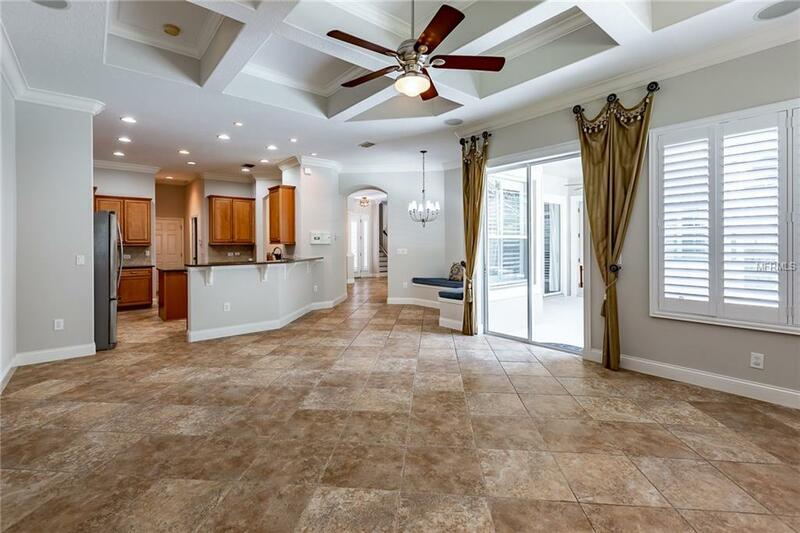 Stunning Southern Crafted built Strathmore II Home on an OVERSIZED conservation lot in the 24-hour guard gated community of Grand Hampton! 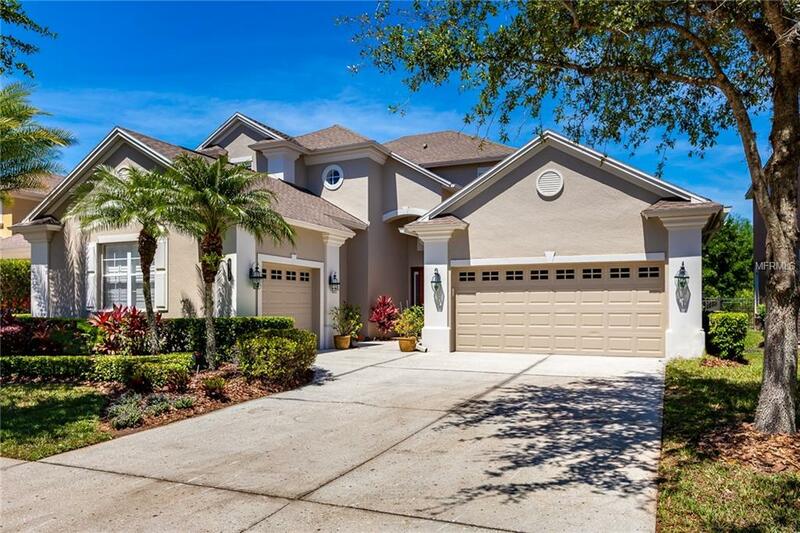 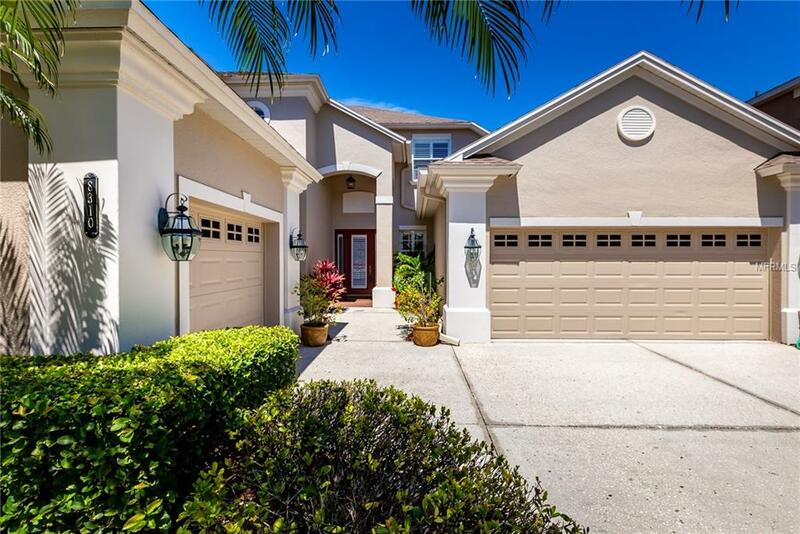 This 4 bedroom, 3.5 bath, POOL and SPA home has fantastic curb appeal with NEW exterior paint. 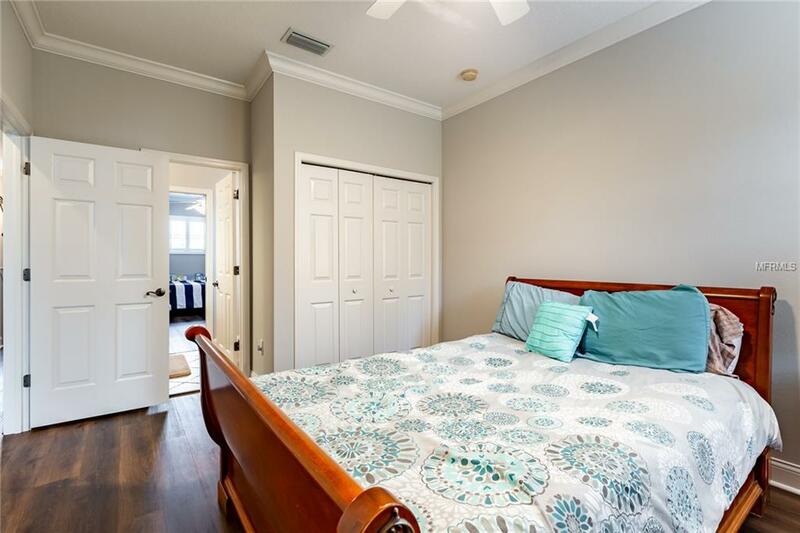 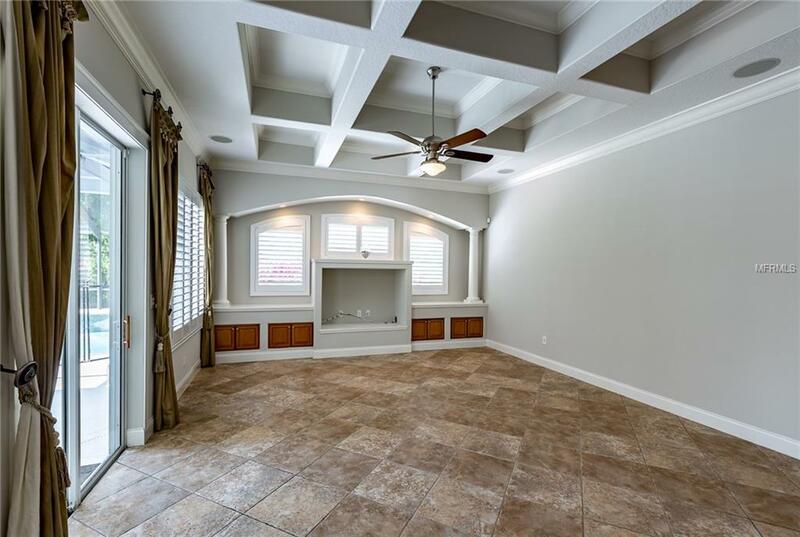 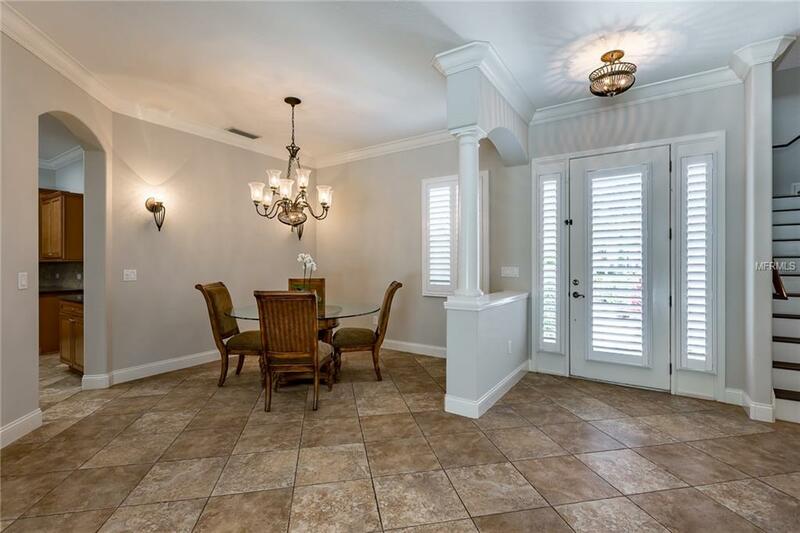 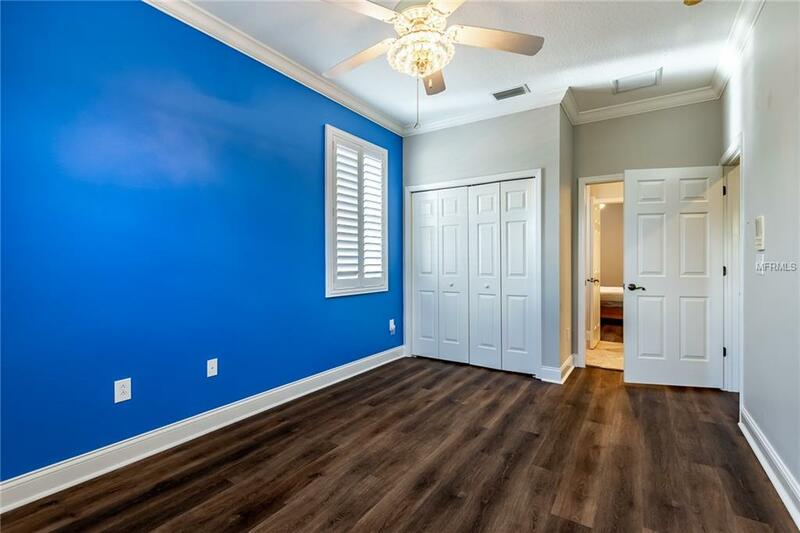 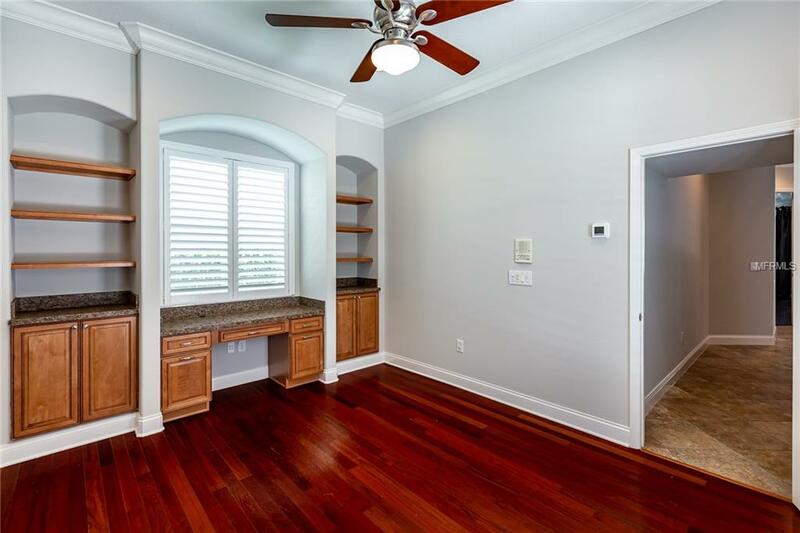 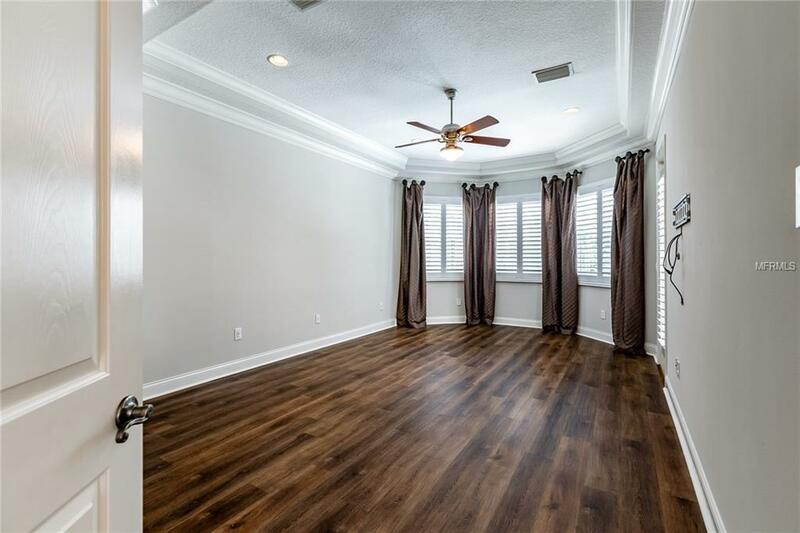 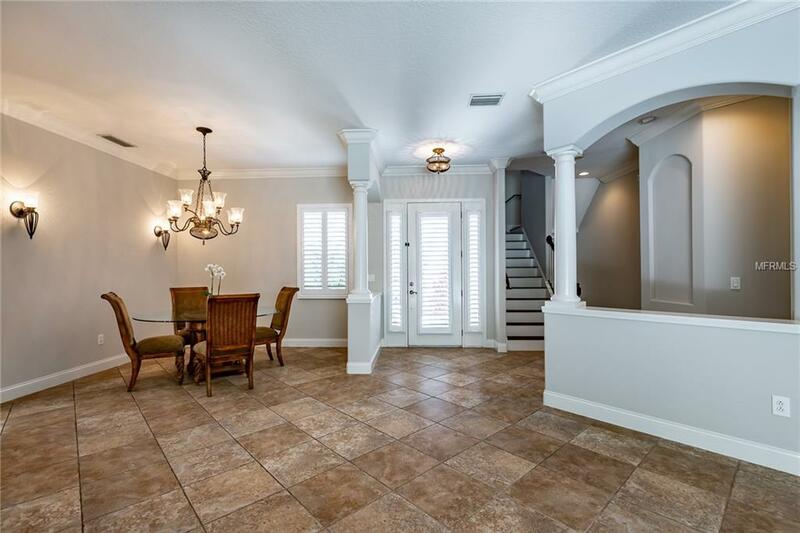 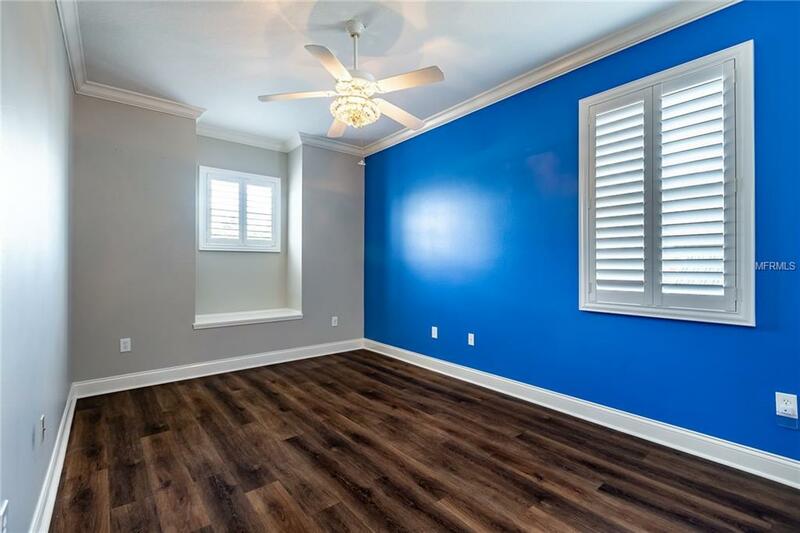 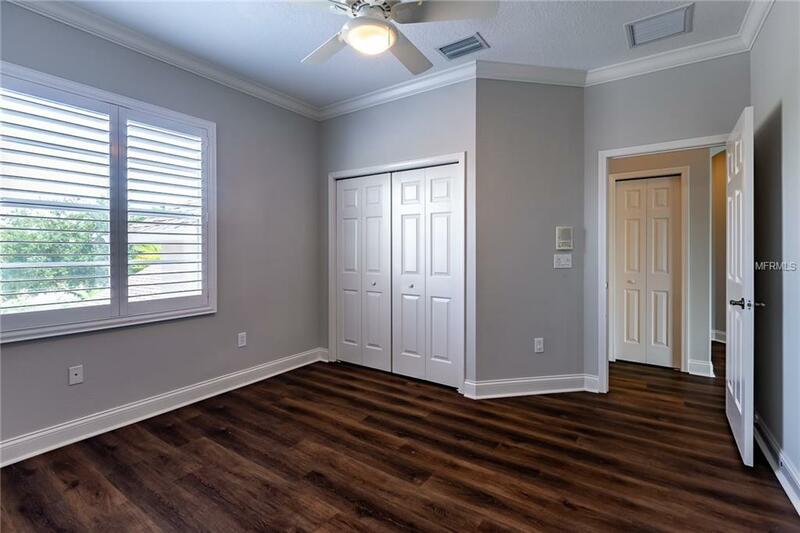 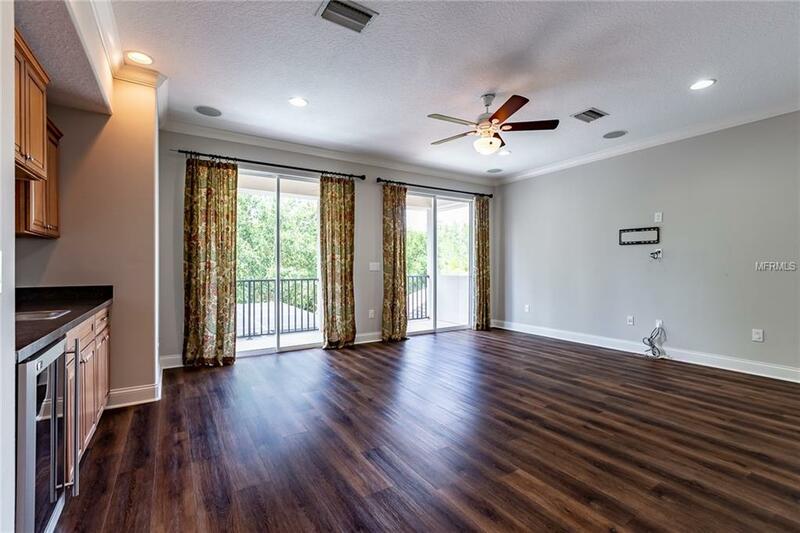 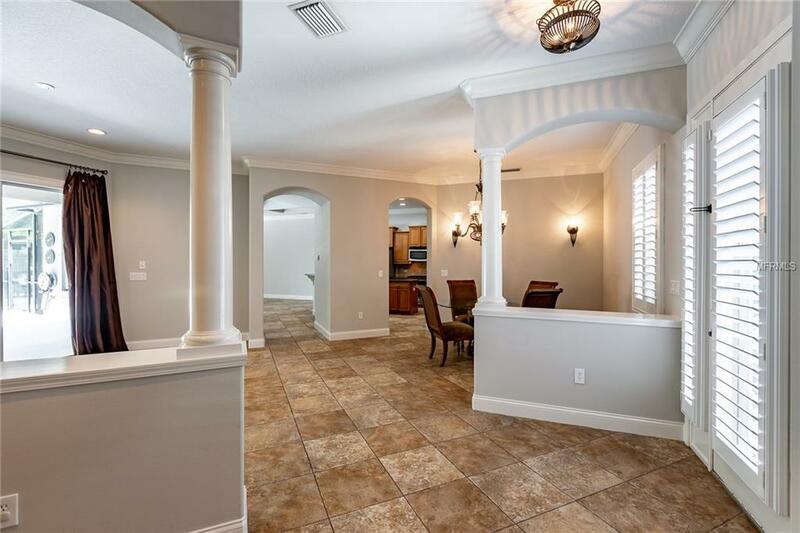 Decorative design elements include crown molding, decorative columns, plantation shutters, five inch baseboards and NEW interior paint throughout. 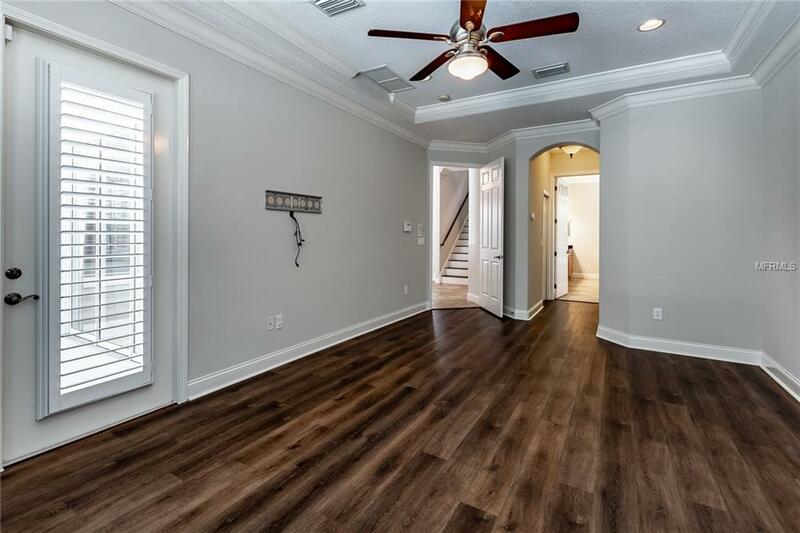 Spacious floor plan with formal living and dining rooms, downstairs master and office with separate entrance as well as combo kitchen and family room. 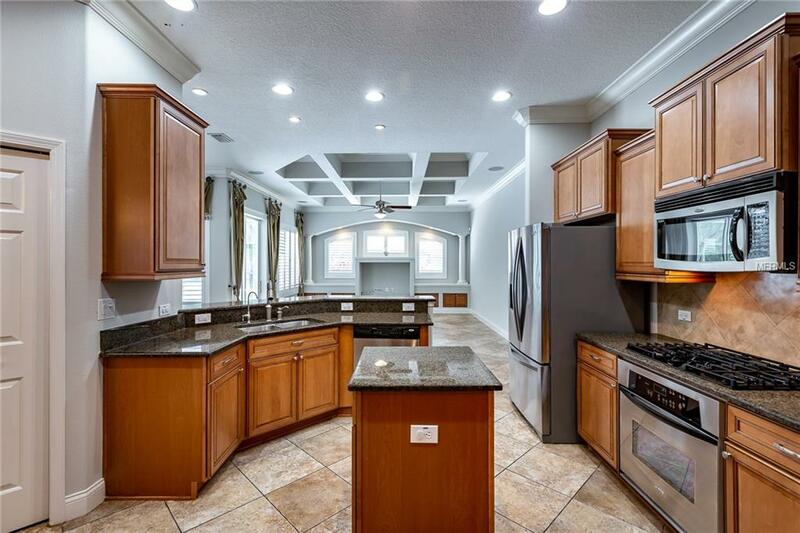 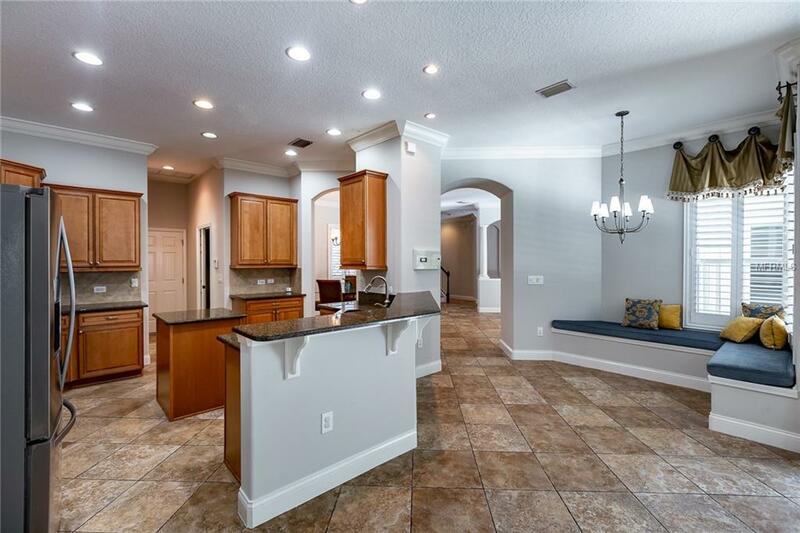 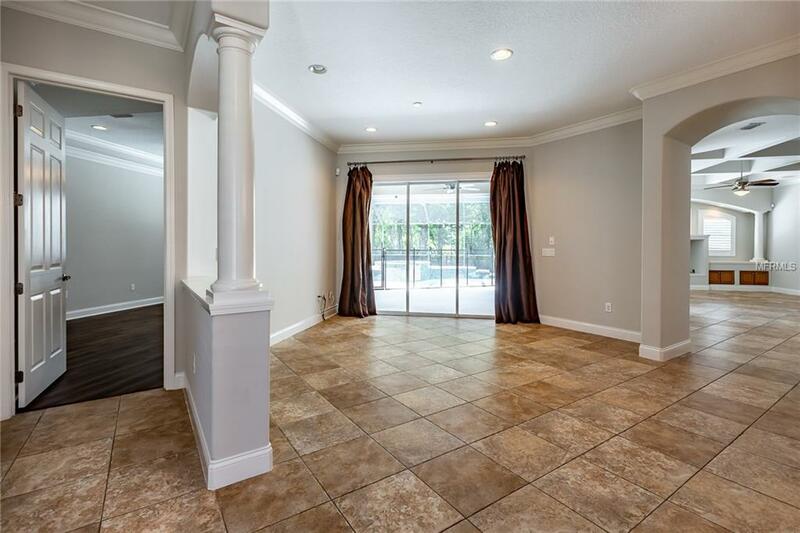 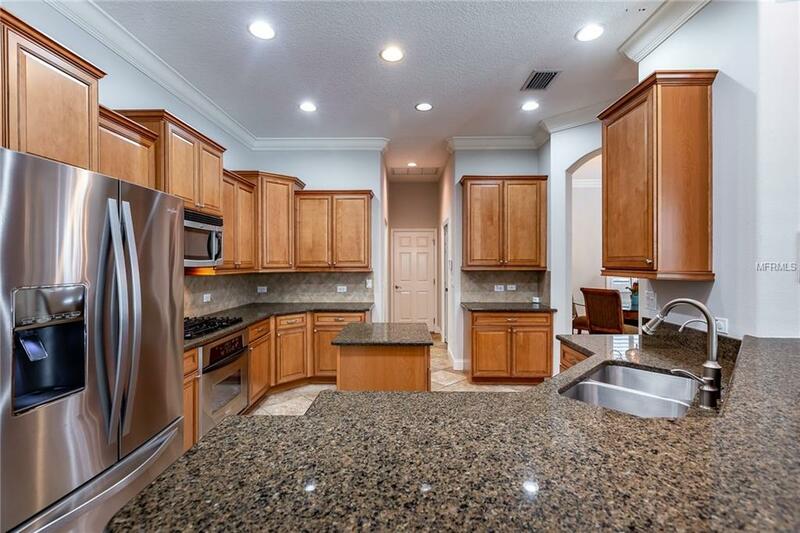 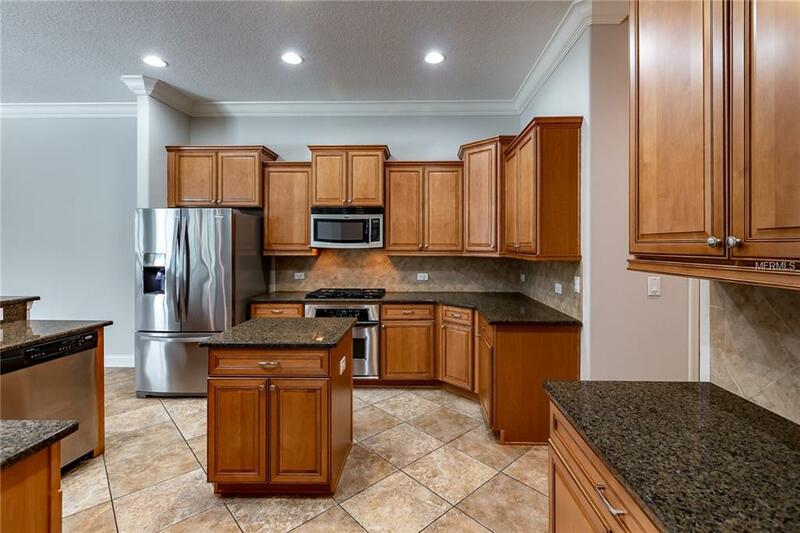 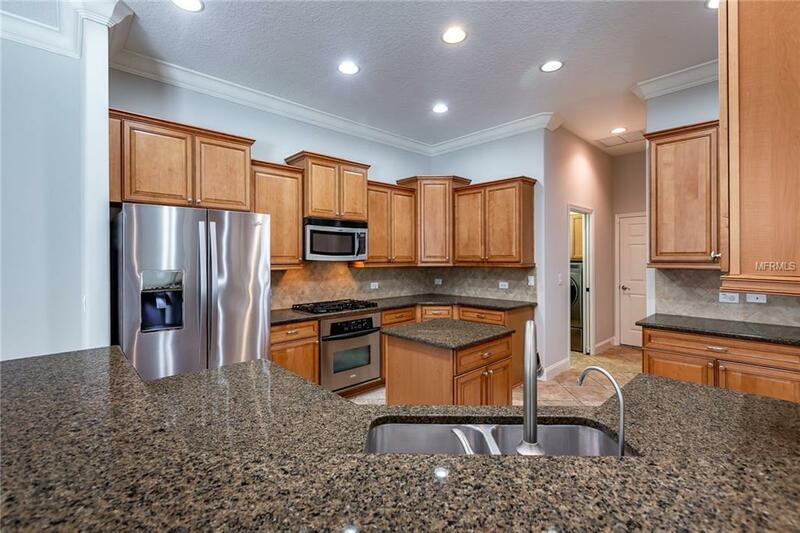 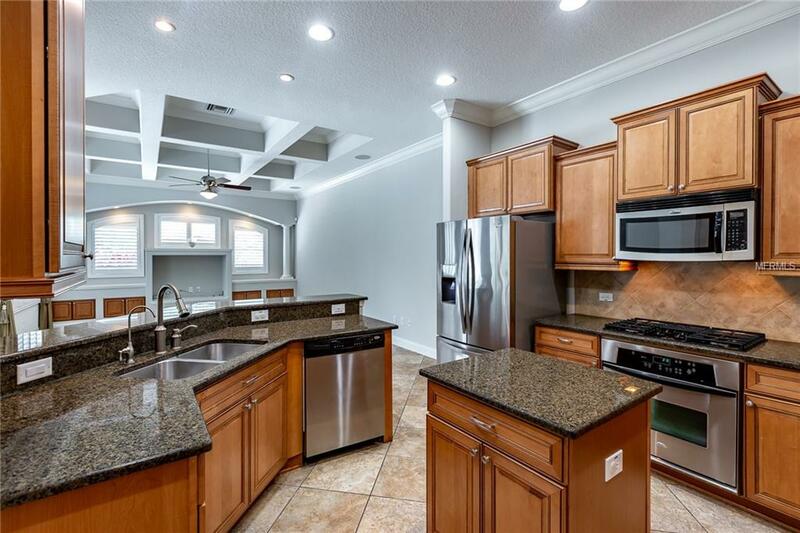 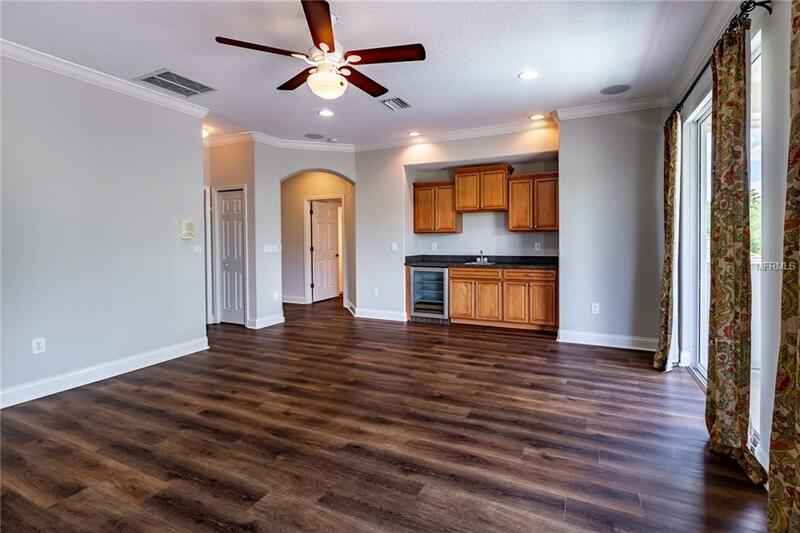 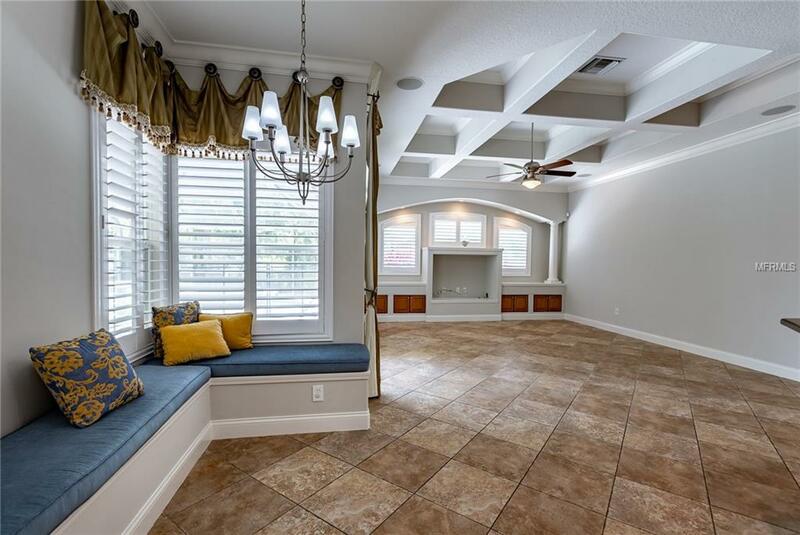 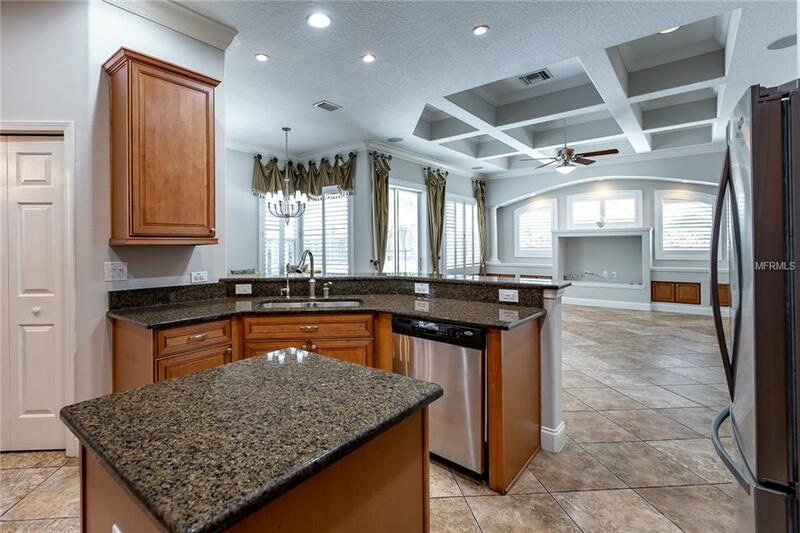 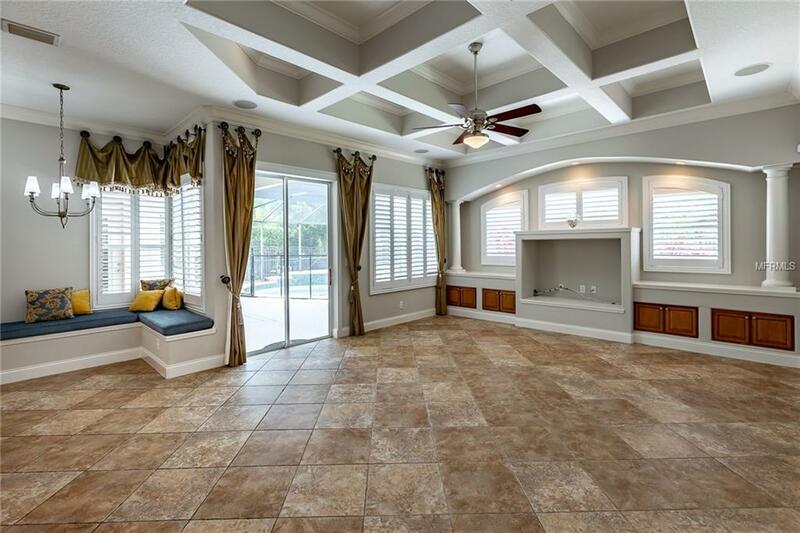 A fabulous kitchen with 42" raised panel cabinetry, stainless steel appliances, granite counters, pantry, breakfast bar and center island connects to the light, bright family room which features a coffered ceiling and sliding doors to pool and spa! 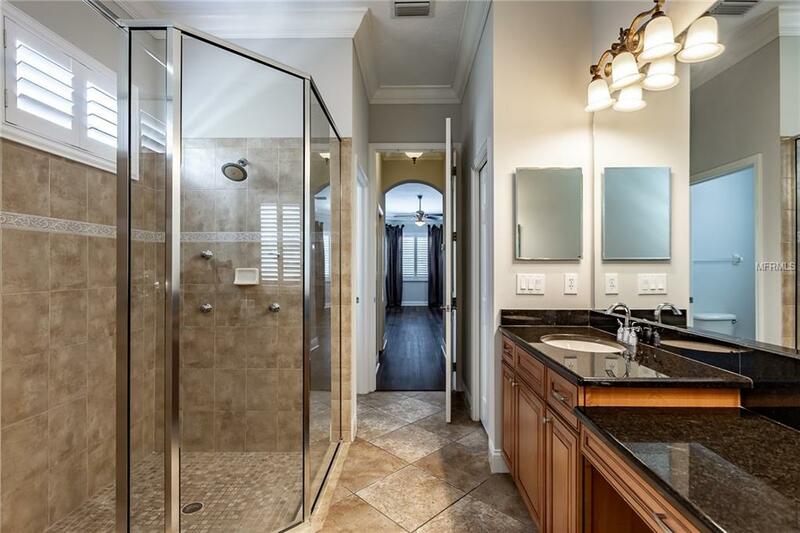 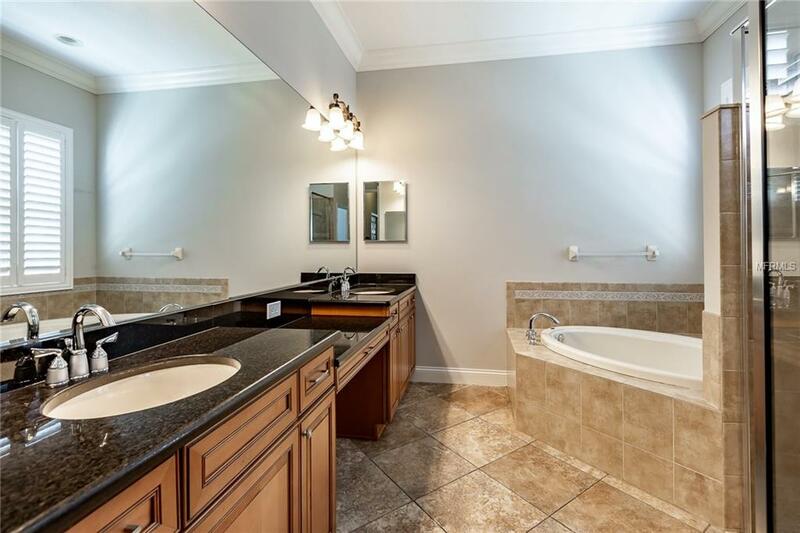 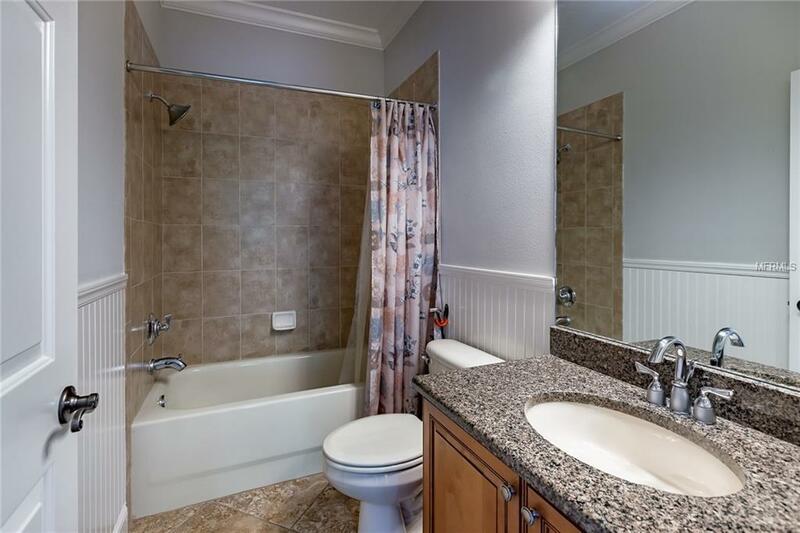 Master Suite has his & her walk in closets, spacious bath with dual vanities, garden tub, glass wall in shower! 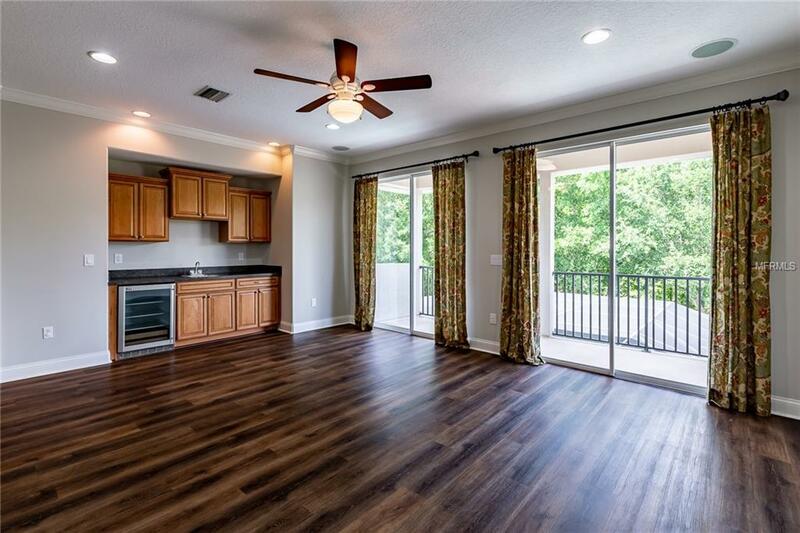 Upstairs are 3 other bedrooms and large bonus room with wet bar that opens up to it's own rear facing balcony. 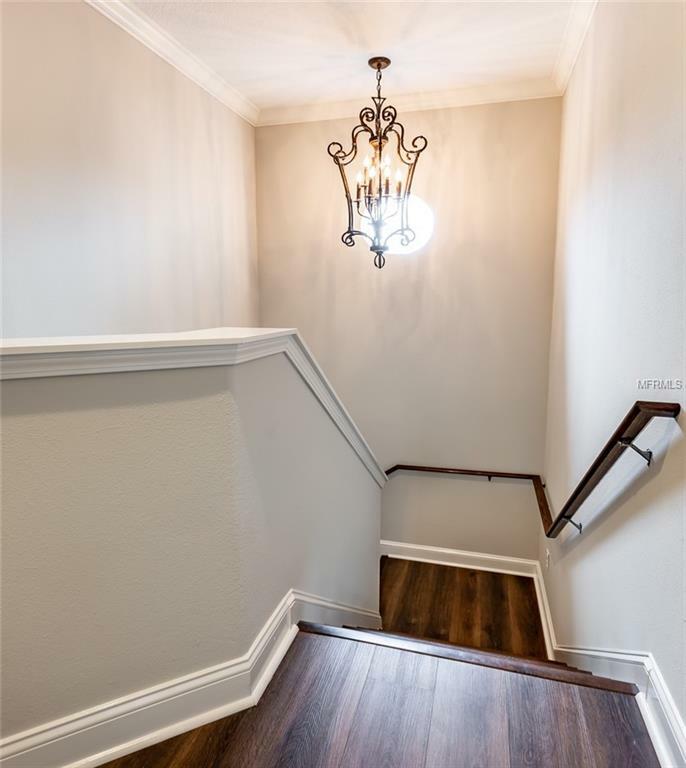 NEW wood flooring on stairs and entire second level. 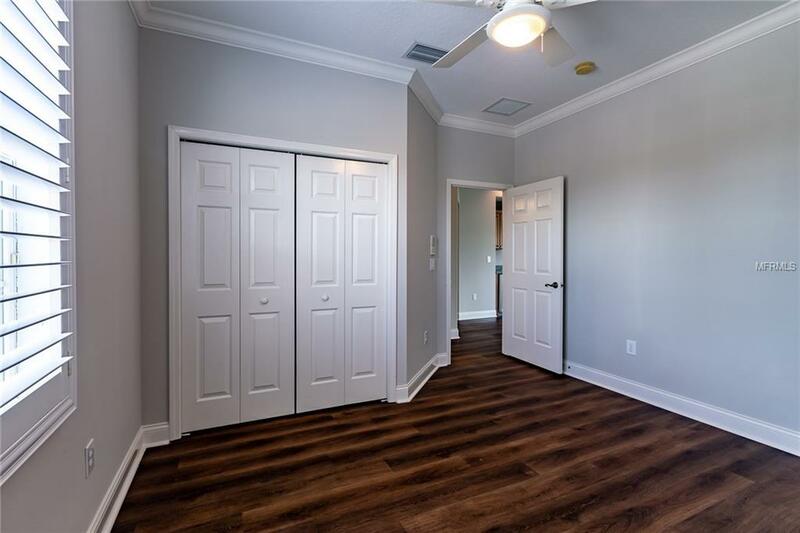 There is also a NEW HVAC that serves the entire upstairs, master and downstairs office. 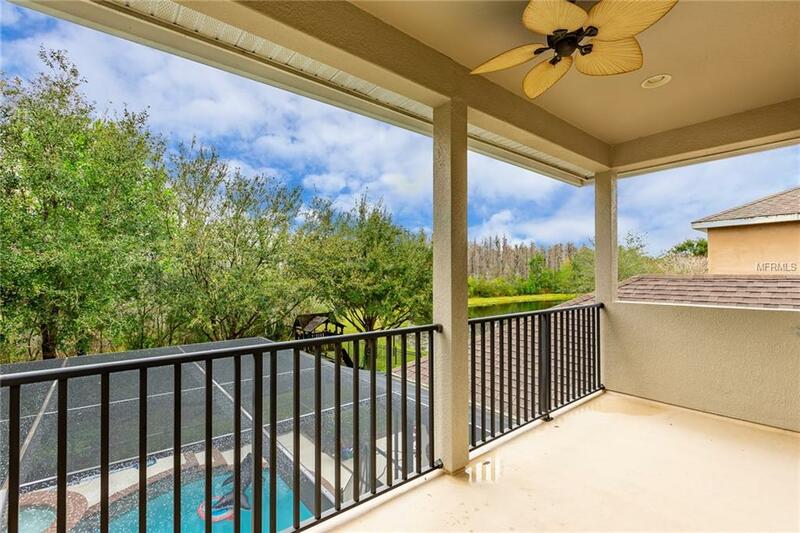 The lanai area features a oversized pool with spa with NEW gas water heater that overlooks conservation as well as a pond area. 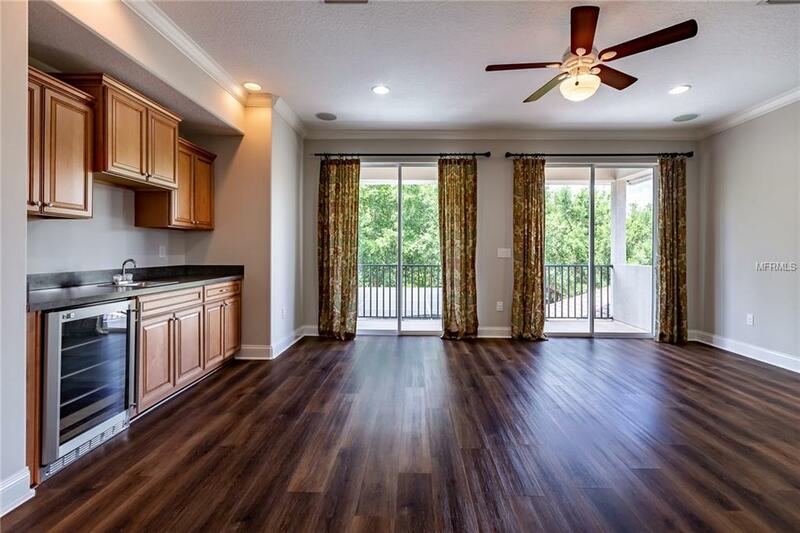 The exclusive community of Grand Hampton offers resort style pools, tennis courts, a putting green, playground, basketball courts, and a state-of-the-art fitness center and clubhouse. 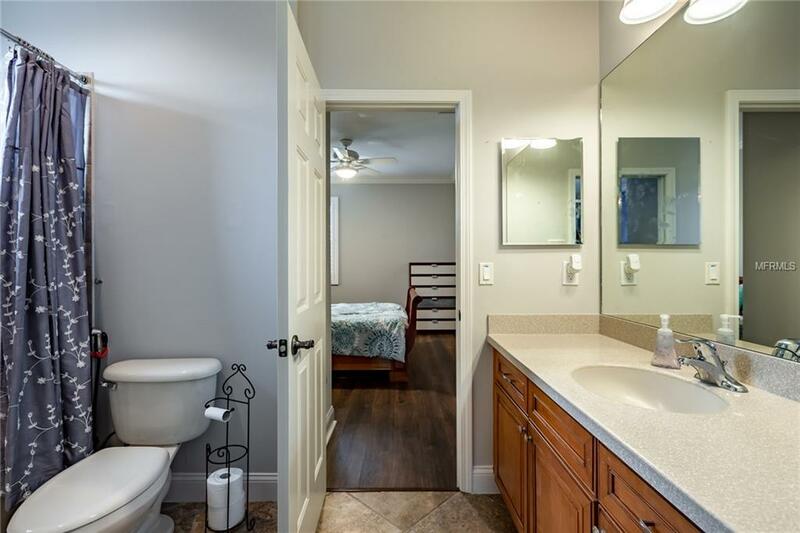 Fees include basic cable and basic internet.